Story Contracting are to proud to have helped Carlisle United Football Club take another huge step on the road back to recovery following last December’s devastating floods. The second phase of office implementation works on the first floor of the Pioneer Foodservice Stand is now complete. 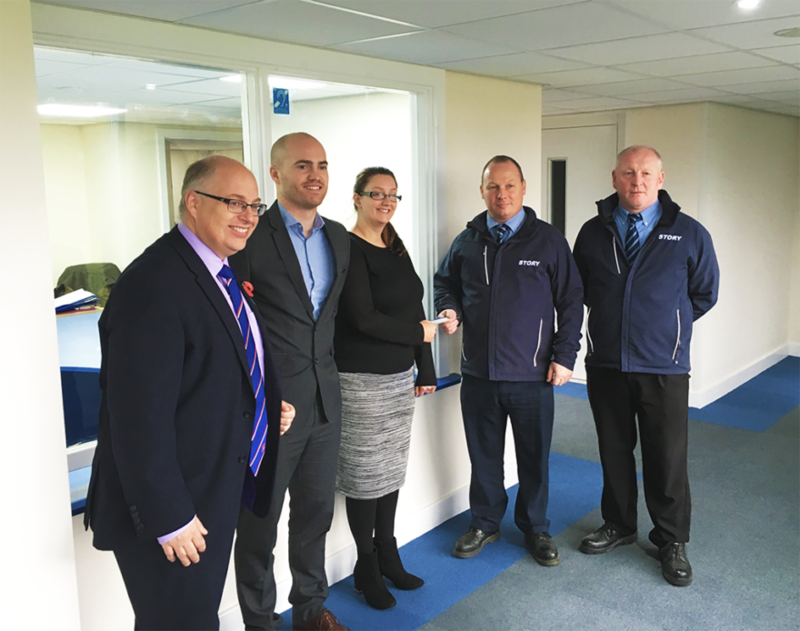 We commenced works on the brand new office and meeting room area in the Spring and conducted the final handover, allowing club staff to move in, earlier this week. The week day ticket office and main entrance for any fan enquiries or information will now be based on the first floor of Pioneer Foodservice Stand on the east side of the ground.